After eight consecutive months of positive performance, the Fund suffered a 5.2% setback in September resulting in a 1.7%1 decline for the quarter. For those keen on numbers, September’s return ranks as the second worst monthly performance since inception of the strategy in January 20152 . Now that we have 45 observations, we are sure this has some statistical significance. We appreciate that ultimately outcomes are “all that matter” (Refer: we can’t live off process). But we also know that outcomes are outside of our control. Our commitment is to continue our focus on matters we can control – like pursuing our disciplined investment process. 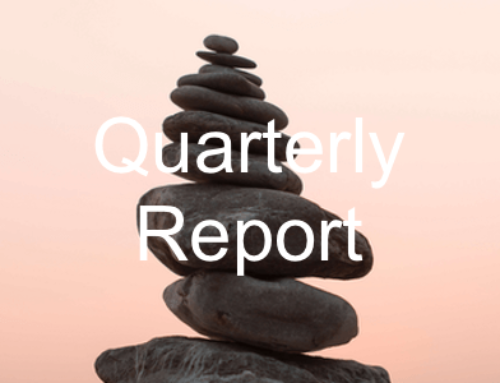 Despite some high returning investments, it really is an uphill battle to post a positive quarterly result when three of the largest Fund positions recorded price declines of more than 20%3 . The minor tailwind from a declining AUD offered little help up the hill (and if it did, we would not claim any credit for it). Positives included rising share prices of the Fund’s two airline companies, Delta Air Lines4 and Hawaiian Holdings. 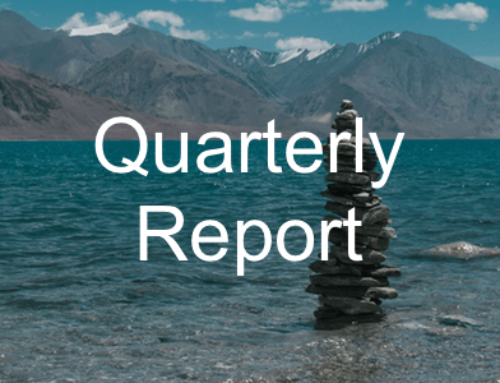 We write this after reviewing their September quarter updates, from which we remain comfortable. The shares of recently acquired H&R Block also rose in price, as did Gilead’s. The two worst performers – in terms of share prices – were Transcontinental and Lear Corporation. This serves to remind us of the mean reverting nature of markets. Until recently, both had featured as strong long term contributors. Transcontinental reported results that included – for the first time – operating metrics from its newly acquired business. These were clearly (and somewhat understandably) of concern to the market. More detail later. The Fund’s cash holding remains relatively high, accounting for 17.6% of assets at quarter’s end. With rising bond yields and equity investors more wary (demanding higher returns for the same risk), theory suggests the value of more distant expected cash flows will decline more than shorter term ones – and our style will be rewarded. We cautiously welcome any sell-off, to the extent that it results in price declines for businesses that suit our investment style, as it may provide opportunities for us to deploy our cash. We continue to refine our process, as we attempt to strike the ideal balance of qualitative input tempered with the humility we instill by rules largely based on our objective fundamental analysis of company’s past financials. We are 100% committed to invest sensibly for the long term – always have and always will be. After all, we have a pretty compelling reason to do so: a significant portion of our assets is invested in the strategy right alongside yours. Source: Administrator, Alluvium, Factset, Interactive Brokers. Past performance is not a reliable indicator of future performance2 . Notable contributors to the Fund’s quarterly performance were its two airline holdings. Delta Air Lines and Hawaiian Holdings posted quarterly returns of 17.5%5 and 11.9% respectively. We still view these businesses as cheap – and we are not alone. Both companies have been actively buying back their shares for some time. During the quarter Delta Air Lines bought USD325 million and Hawaiian Holdings USD31 million of their stock (1.0% and 1.5% respectively). In general, airline companies have not proved to be great investments in the past, hampered with issues like unionised workforces, irrational government subsidised competition, new low cost operators and volatile fuel costs. But, for our holdings, we believe a lot of these issues have been addressed. With their current double digit earnings yields we are comfortable with these positions. Gilead (which develops and commercialises medicines, particularly for those living with life-threatening diseases) returned 9.8% over the quarter. H&R Block (the tax accountant) returned 14.2%. With the latter, some may see this as market vindication of our recent purchase, but we pay no credence to it. Transcontinental is a Canadian based printing, media and packaging business. In April management announced a major acquisition, being Coveris America (at a cost of USD1.3 billion). This has the effect of increasing the packaging side of the business from around 15% of total revenue to almost half. The market rewarded the deal with an increased share price – and all was good until September. That was when Transcontinental results were reported and this included an update on the integration. It was revealed that the margins of the acquired business were lower than expected. Clearly the market was surprised and voted with its feet. 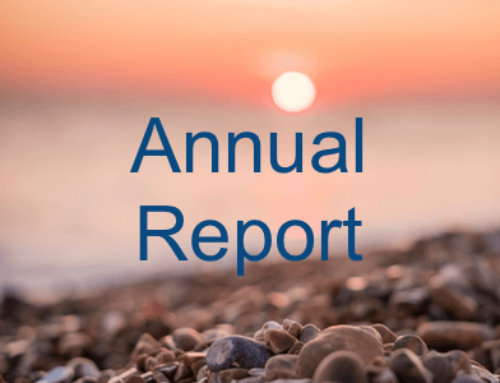 The share price tumbled 27% from that point to month’s end – wiping out all the positive performance from this position that we had enjoyed this year. We struggle to reconcile how an unexpectedly lower margin of around 0.5% on USD1 billion of revenues (which reduces the business’s earnings by a little over 1%) equates to a reduced value of the business (as implied by market pricing) of over 20%. Clearly management has not excelled and we have concerns with their acquisition diligence (or lack thereof), but the reaction does feel a little extreme. Let’s assume the expected earnings accretion from this deal never materialises – the business is still trading on a double digit cash flow yield. For what is a reasonably stable business, it is in no way expensive – so despite our question marks over management, our emphasis on “System 2” thinking has led us to retain our position at this juncture. Lear Corporation is a supplier of seats and electrical systems to automobile manufacturers. Whereas during May, due to share price strength our diversification rules required us to trim our position, by late July its share price decline (despite reporting solid business results) allowed us to increase our stake. The share price has kept going down since. During the quarter it declined 22%. We did not consider the shares as being unreasonably priced at around USD200 in May. Aside from perhaps a tougher expected operating environment (which we accept as the usual vicissitudes experienced by such businesses) not much has changed. So, as we write this in late October, with the stock trading around USD130 and offering double digit earnings and cash flow yields – whilst actively buying back its shares – it is all the more compelling. We were active in selling Canfor Pulp (the pulp and paper processor), which has been a very good performer for the Fund. As we explained in our June report, the performance led it to being too large a position according to our rules (which deal with stock specific risks and portfolio diversification), and this was the initial catalyst for us trimming it. We sold more than was required to comply with the rules, because we could access the same business (but which adds logging activities to the mix) via its parent company at a cheaper price. Although we are pleased to report some nice profits for our Canfor Pulp activities, we are not so pleased to report that for the portion of the proceeds used to acquire its parent company, Canfor Corp, the investment to date shows a loss of 15.7% and cost the Fund 0.5% over the quarter. In the Asia-Pacific region, Dawnrays Pharmaceuticals (based in Hong-Kong) share price fell 25.5% during the quarter. Markets move in mysterious ways. There was a lot of action here – a share split, a special dividend, the release of its results, but nothing negative in our view. As we move toward incorporating more qualitative assessments into our process, by necessity we must be able to understand more than just the numbers. We debated it and ultimately concluded that learning Japanese would be an inefficient use of our time. This prompted our trading in Japan where we replaced four holdings. As Japanese companies that report in English tend to be large and liquid, our freed up capacity there could be met with fewer positions. We bought Tosoh (a chemical specialist with an amazing array of products) and Sumitomo Construction (the infrastructure builder). We did not excel with any of the investments we sold – most were flat returns except for Token (which we sold for 19.6% less than we paid, thereby costing the fund 0.4% during the quarter). 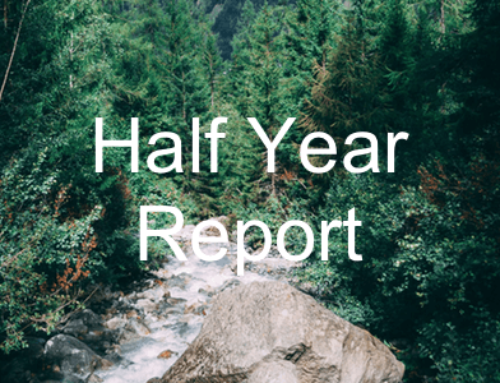 We completely sold two other positions over the quarter – both as a result of their failing our filters after our analysis was updated for their most recent results. These include Sanderson Farms (the poultry producer) and Michelin (the French tyre manufacturer). 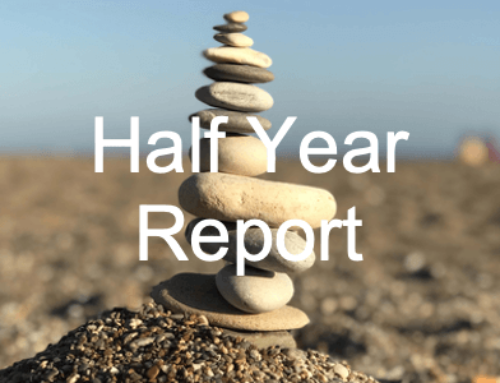 With the former, we could not match the returns we have previously realised from holding this business and we suffered a slight loss of 2.4% over our short holding period. Michelin was one of the Fund’s initial positions, and we managed a reasonable return of around 40% over our holding period of around two years. We continued to trim our position in Williams-Sonoma (the US retailer) as it became too expensive according to our disciplined investment selection methodology. But it has since become less expensive, and as a result it remains a holding at a lower weight. We replaced it by our continued buying of Gap which culminated in a 5.6% position by quarter’s end. We also introduced the Australian electricity and gas distributor, AGL. At the time of our purchase in early August we were not to know of the imminent politically driven machinations in the Australian energy market, all pointing to regulatory risk. Not a pleasant outcome, and poor timing in hindsight. But what is relevant is whether we are being adequately compensated for this risk (which has always been there, it merely has just become more apparent). At this stage we think we are. We remain choosy with our investments. We invest our capital the same way we want our investee businesses to allocate their own capital: prudently and diligently, and in accordance with a clearly defined strategy. This has lead to a concentrated portfolio of 20 positions with a high cash position. As of late October, we are witnessing a sell-off in global equity markets. This serves as a reminder to investors that, through the pursuit of long term performance, the road is likely to be bumpy. 2 Comprises: (i) a separately managed account for the period 1 January 2015 to 6 June 2016 sourced from Interactive Brokers and reduced by an assumed administration fee of 0.45% and a base management fee of 0.90% (both inclusive of the net effect of GST), as calculated by Alluvium; and (ii) the Fund from 7 June 2016 sourced from the Administrator. 5 Returns include dividends and are expressed in local currency. Source: Alluvium, Factset, Interactive Brokers.